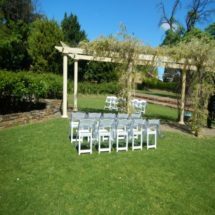 The Americana chair is a long time favorite with the sturdy, fold out style perfect for wedding ceremony seating and out door events. 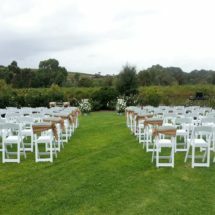 Available in classic white these chairs are stunning as they are, however they can be easily dressed up with a coloured sash or embellishment making them perfect for any theme. 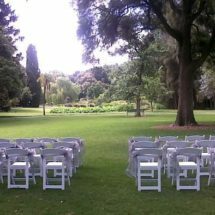 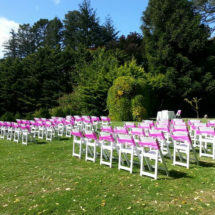 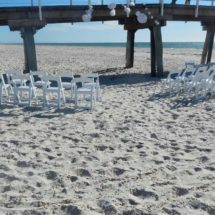 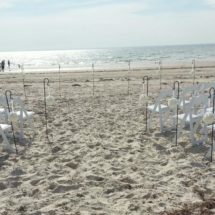 A beautiful addition to your garden or beach wedding ceremony, Dawn offers delivery & full setup service with the selection of special priced packages for you.